Today I visited Riechsrat von Buhl. This was once on the the great wine estates not just of Germany, but in the world. 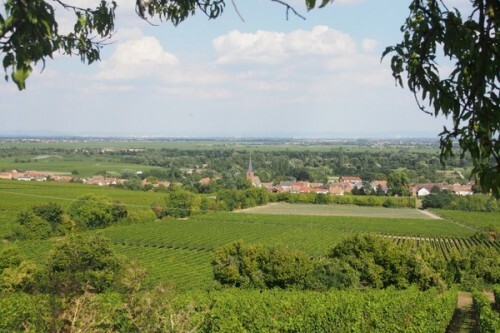 Over the years, bits of the estate had been sold, and it ended up at its current size of just over 50 hectares of vineyard. 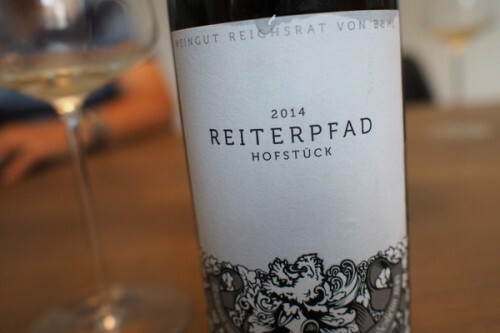 However, its vineyard holdings, albeit reduced, are quite amazing, with the best sites in Deidesheim, Forst and Ruppertsberg, including Kirchenstück, Pechstein, Jesuitengarten, Freundstück, Leinhöhle, Herrgottsacker, Kiesleberg and Paradiesgarten. In 2005 the winery was bought by Achim Niederberger, but at the time it was leased to Japanese business man Toyohiro Tokuoka. 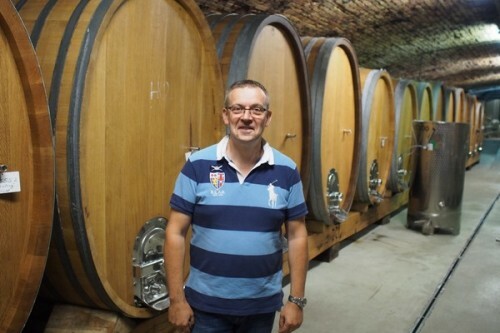 So Achim had eight years to build his team, and in 2013 managing director Richard Grosche and winemaker Mathieu Kauffmann (who previously completed a 12 year stint in charge of Bollinger) took over. 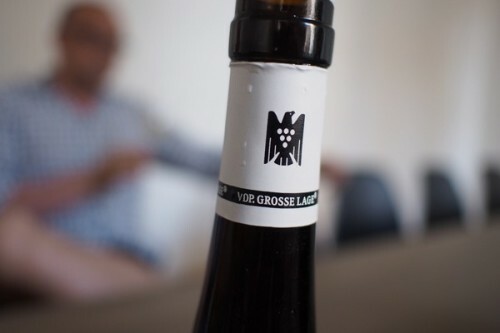 Grosche had convinced Achim (who sadly died in 2013) that von Buhl was a sleeping giant, with its astonishing vineyard holdings. Today’s tasting of Rieslings showed that the new regime is nailing it: these were truly brilliant wines. The vineyards are now being managed biodynamically, and the cellar is just amazing. 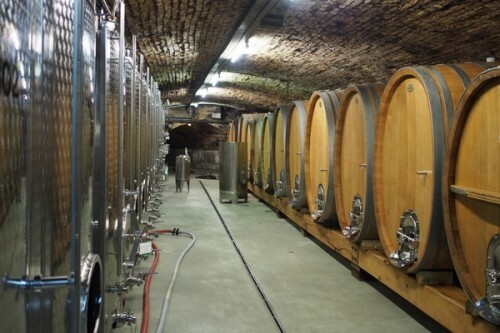 Mathieu has had to start again, buying new large oak (2400 litre dopplestücks, which differ markedly by manufacturer, he says) each year to repopulate the stunning underground facility so that he can make the wines he likes. He favours large oak, minimal use of sulfur dioxide during vilification, long lees ageing and minimal movement of the wine. ‘It has taken three years to get people to understand why we are doing things this way,’ says Richard Grosche. ‘It has been tough.’ This transition has involved replanting significant portions of their vineyards, and also making wines in a tighter, leaner style that will repay ageing. These are truly impressive wines. I’m in a anthropology class focused on wine and in the class we were each assigned a noble grape to research. 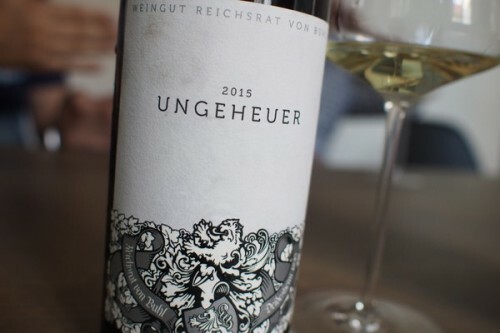 My grape was the Riesling, so I found this article very interesting. The descriptions of these wines stayed true to all else I’ve heard. However, I’ve heard that some Riesling wines have a hint of kerosene in their scent. Was this experienced in any of the wines you tried? Or is the kerosene scent primarily in older Rieslings? 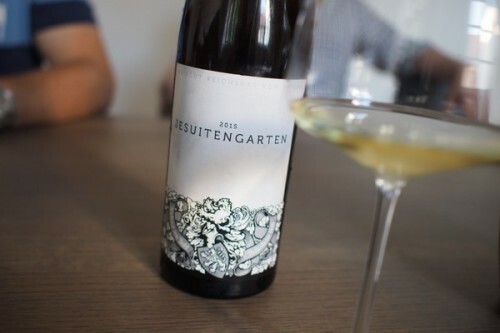 I was also curious about the proximity of this vineyard to the Mosel region of Germany and how their growing techniques compare to the techniques used in the Mosal region. For example, are the vines from Von Buhl grown on slopping hillsides in rocky soils? How long do they typically stay on the vines? Thanks for this post. It was great to read about the history of the winery and hear about some of the great wines it produced.